The SDMS Seahawks are back in the water for the 2016-2017 Winer Season! The SDMS athletes make up a wide variety of ages (5-18) and abilities (Novice-Elite). But they all have one thing in common, they are the future of Rails Swimming! 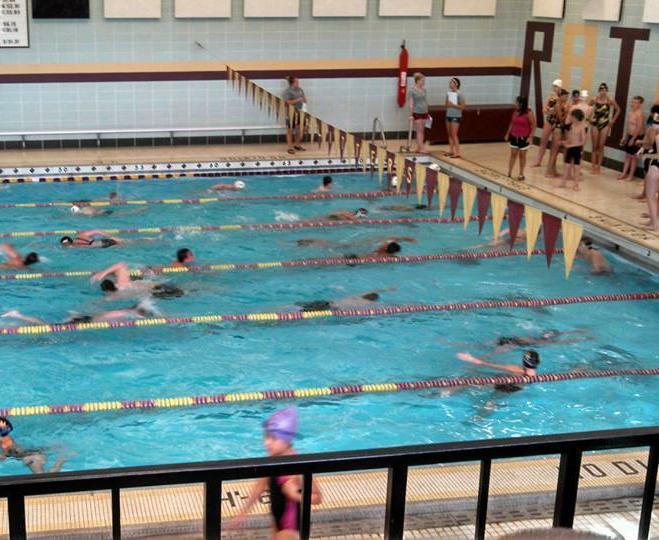 South DM Swimming is exclusively for swimmers who live on the Southside of Des Moines, Norwalk and Carlisle. This ensures that our athletes learn the correct terminology and techniques from a young age. It also allows them to get to know their future teammates and make friends. This winter season, we welcomed 29 new swimmers to the Seahawks! This is awesome and great for the program, the team and the swimmers. SDMS is one of the most comprehensive programs in the metro. We offer club swimming to the entire team. This includes swim meets and a championship meet at the end of season at no additional cost. The club meets have different themes like Gray vs. Gold or Battle of the Ages. We also offer USA Swimming meets to advanced/elite swimmers who want to pay for a USA athlete membership and pay to compete at USA meets (cost varies). USA swim meets provide the chance to swim against other great swimmers from around the entire state of Iowa which can be a great way to meet their goals. Lastly, we offer bonus programs like swim lessons and youth diving clinics when pool time is available (usually in the summer). The first club swimming meet, Gray vs. Gold, is on November 28th. The new website features an Upcoming Events area in the sidebar, so everyone can see what meets are coming up.